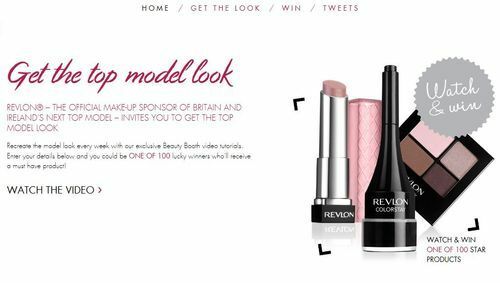 At the end of last week I noticed that Revlon are running a new competition based around what they have called the Revlon Beauty Booth, in association with Britain & Ireland’s Next Top Model. Each week on the Beauty Booth they’ll release a new episode which shows you how to create a particular beauty look. If you enter your details you could be one of 100 lucky winners who’ll receive a must have product from the look. This weeks video is Splash Proof Glamour and this weeks must have product is the Colorburst Lip Butter in Sugar Frosting. The next episode will be released on 18th July and the final one will be released on the 5th September. 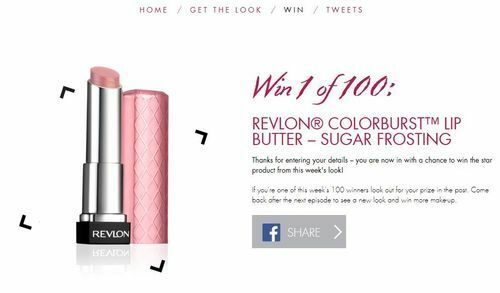 They’re already on episode 4 but there’s still plenty of weeks remaining to check out the tutorial videos and try and get your hands on one of Revlon’s top products.